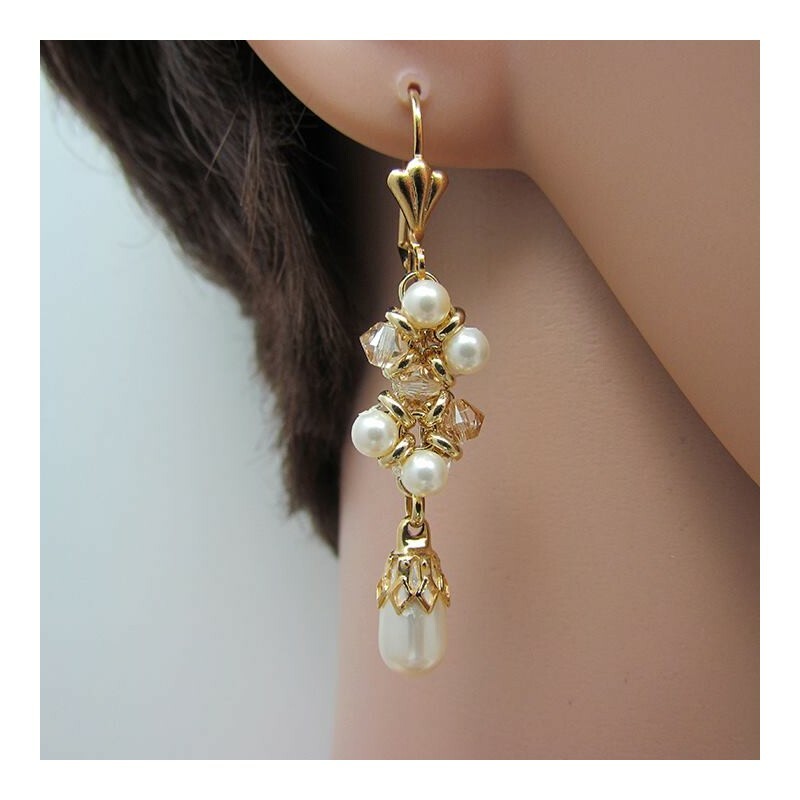 Art Deco Pearl & Crystal Statement Earrings, handmade earrings made of Swarovski elements and gold plated. 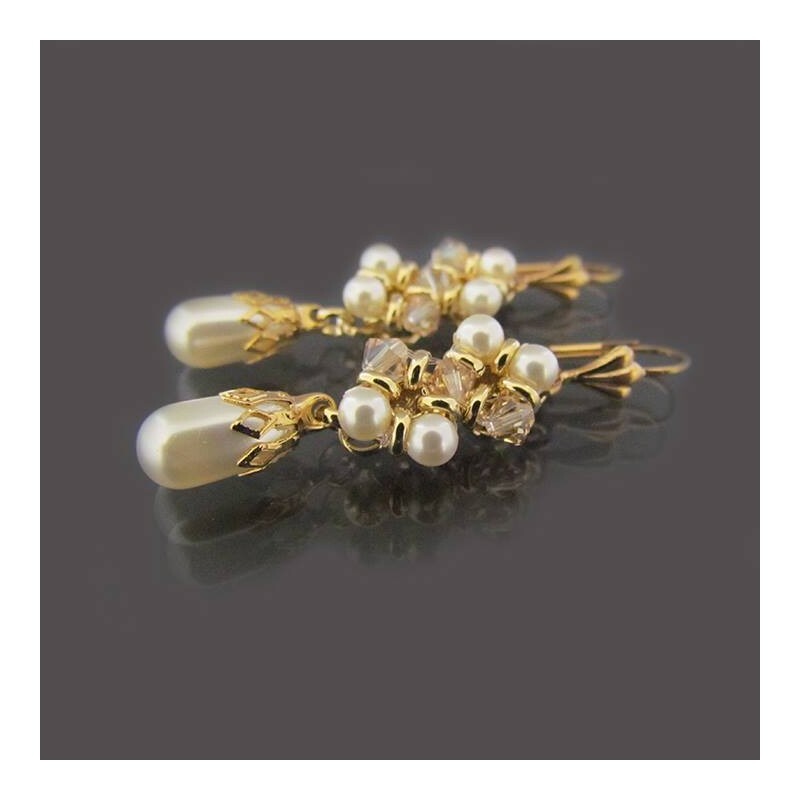 Vintage pearl earrings length: 1.6" / 4 cm approx. 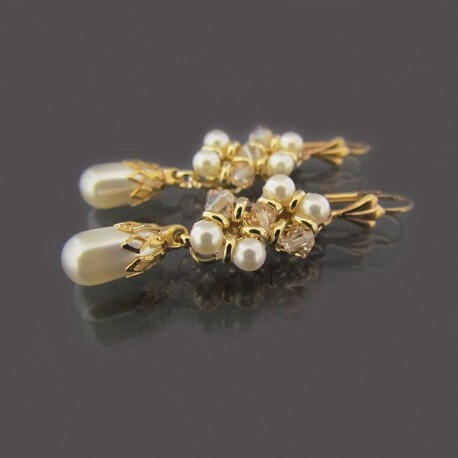 Peals and crystals: 4 mm. Art Deco Pearl & Crystal Statement Earrings, elegant piece that will make you feel like a real princess in your special day.